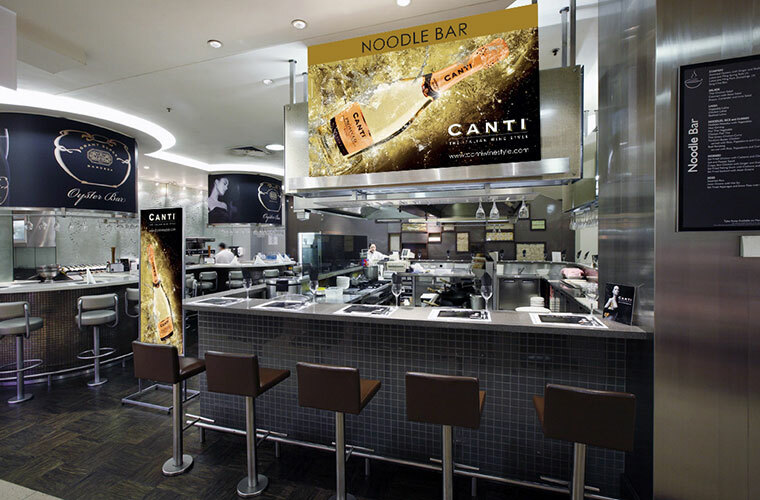 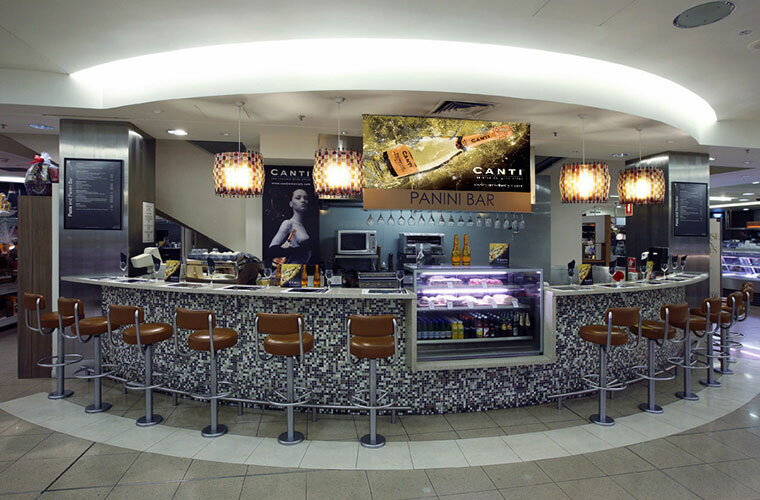 Once again, CANTI Prosecco has confirmed itself as sponsor for a number of bar and restaurants part of the David Jones department store chain. 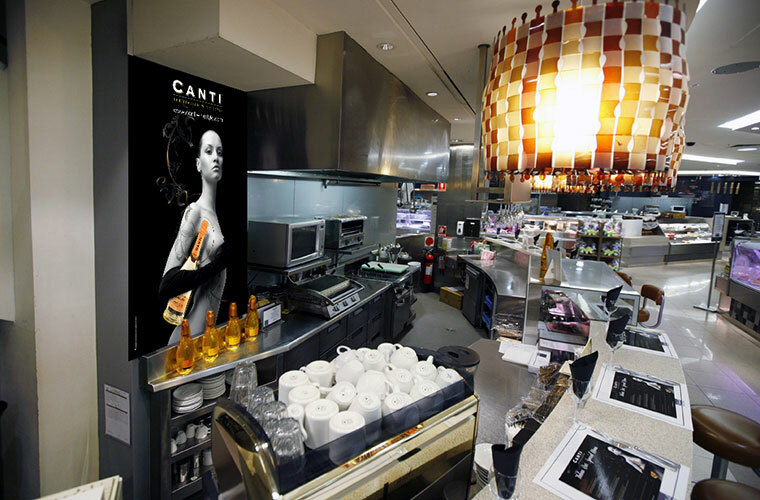 Every interior location has been branded and the atmosphere is exquisitely Italian and glamorous. 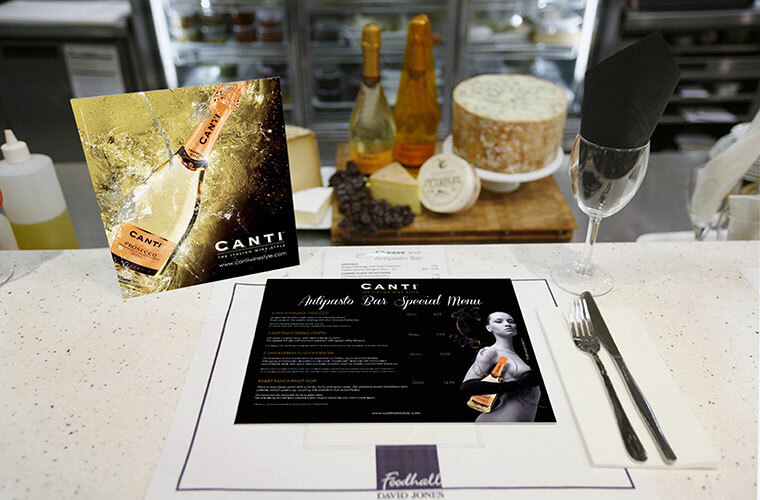 Customers are engaged both by the unique design and the events and tastings that frequently take place to promote the CANTI experience, which is more than just a mere taste of wine but is rich in the brand’s deeper values.